Below is a listing of some key resources, both books and websites. We include the resources that have been of benefit to our program and have been useful to our workshop participants. When the Body Says No: Understanding the Stress-Disease Connection, by Gabor Mate, M.D. 2003. The Emotional Life of Your Brain, by Richard Davidson. 2012. Train Your Mind, Change Your Brain, by Sharon Begley. 2007. The Dalai Lama posed the question to western neuroscientists: Can thought change the way the brain functions? The answer is filled with hope for all ages: yes. Mindfulness and yoga, both the physical and intellectual components, can help rewire the brain - yoga is a tool for neuroplasticity, or the ability of the brain to change. As it turns out, science has shown us that “attention is indispensable for neuroplasticity.” (p. 158) A fundamental benefit of yoga is the fostering of the ability to be aware, to pay attention to the present. The Compassion Fatigue Workbook, by Francoise Mathieu. 2012. Trauma Stewardship: An Everyday Guide to Caring for Self While Caring for Others, by Laura van Dernoot Lipsky. 2009. Help for the Helper: The Psychophysiology of Compassion Fatigue and Vicarious Trauma, by Babette Rothschild, 2006. Give special attention to Chapter 3 for insights as to why yoga can be an extremely helpful tool in overcoming compassion fatigue. “Again, common sense. 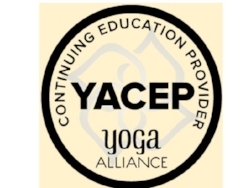 The more adept you become at recognizing, tracking an evaluating the level of arousal in your own body, the better you will be able to regulate your arousal and mediate your own risks for compassion fatigue, vicarious trauma, and burnout.” (p. 104) This awareness of both physical and mental conditions is a key in any yoga practice. An Introduction, by Charles Figley, Ph.D. Transforming Compassion Fatigue Into Compassion Satisfaction: Top 12 Self-Care Tips for Helpers, by François Mathieu, M.Ed., CCC., Compassion Fatigue Specialist. Rehab and Community Care Medicine, Spring 2007. Low Impact Disclosure: How to Stop Sliming Each Other, by Françoise Mathieu, M.Ed., CCC., Compassion Fatigue Specialist. 2008.. The Art and Science of Caring for Others without Forgetting Self-Care, by Charles R. Figley, 2007. Yoga for Emotional Balance: Simple Practices to Help Relieve Anxiety and Depression by Bo Forbes. 2011. This cutting edge E-course has been made possible by recent innovations in E-learning technology, combined with the remarkable advances in new research along with our rich experience with program participants over the past decade. We know so much more now about the mechanisms of stress and trauma, and the wide-ranging physical, psychological and interpersonal impacts. We also know much more about how to effectively manage these specialized stresses and how to recover from their harmful effects.